Towen Mount Tropicals is a family owned wholesale nursery and cut flower business on beautiful Towen Mountain, Sunshine Coast , Queensland, Australia. 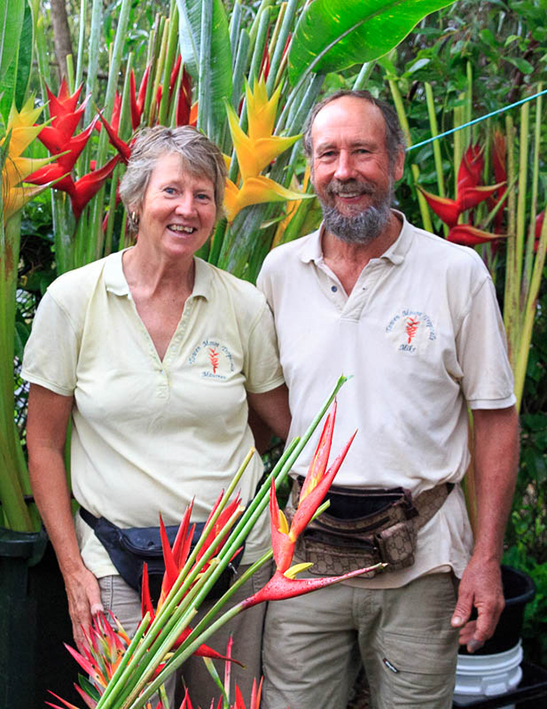 We have been collecting and growing heliconias, gingers and exotics on our farm for 15 years, constantly seeking that special flower or landscape plant. We travel to conferences worldwide to increase our knowledge and to network within the industry enabling us to gather helpful information to share with our clients. We also attend many plant shows each year so we can have direct contact with gardeners and other growers giving us valuable feedback and an opportunity to showcase new releases. We are very supportive of local industry and supply a majority of the flowers for Buderim Ginger Festival each year as well as potted stock for resale. 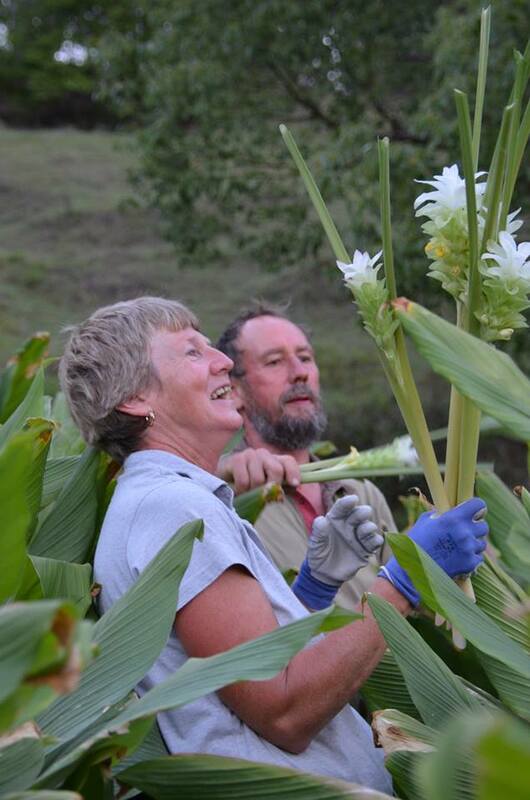 The production of flowers for the local cut flower industry was our initial reason for growing heliconias and gingers. Towen Mount Tropicals is a stallholder at the Noosa farmer’s Market every Sunday where we have supplied fresh cut flowers to a very supportive community and their visitors for many years. We really enjoy showcasing our beautiful flowers which are long lasting proving a popular choice for our loyal customers. As a nursery we describe our business as ‘boutique’ because we grow a lot of unique and interesting plants for the collector but we also provide bare rooted and potted stock to other wholesale/retail nurseries within Australia and internationally through our distributor. Our business continues to grow every year as we face the challenges and enjoy the rewards. We look forward to many more years of working with amazing tropical plants and flowers.